Colonial Cut Stone Center Chimney Dismantled and Installed. Fireplace in the Kitchen of the 1730 Joseph Main house, dismantled and moved from Connecticut to Massachusetts. Colonial era cut stone center chimneys are relatively common in southern New England. The stonework there is generally superior to that found points north, where chimneys are mostly out of brick. 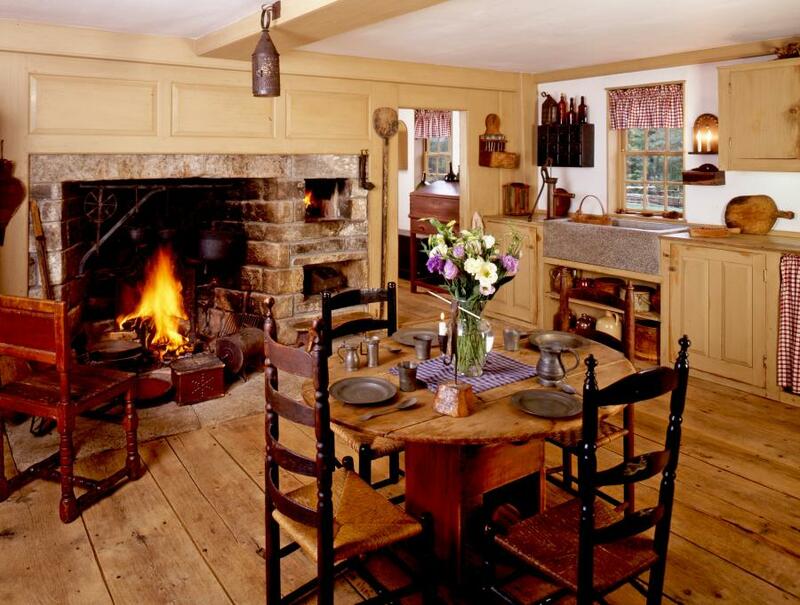 The hearth is literally the center and “focus” (Latin for “hearth”) of colonial buildings, as the image below of the kitchen of the 1730 Joseph Main house shows. This building was dismantled at its site in Connecticut and moved to Massachusetts, along with its 7 original cut and dressed stone fireplaces and chimneys, by Historic Homes, Inc., of Salisbury, NH. One of these fireplaces is shown, below, to stunning effect. Across the border in Rhode Island, a similar example stands at its original site, also shown. 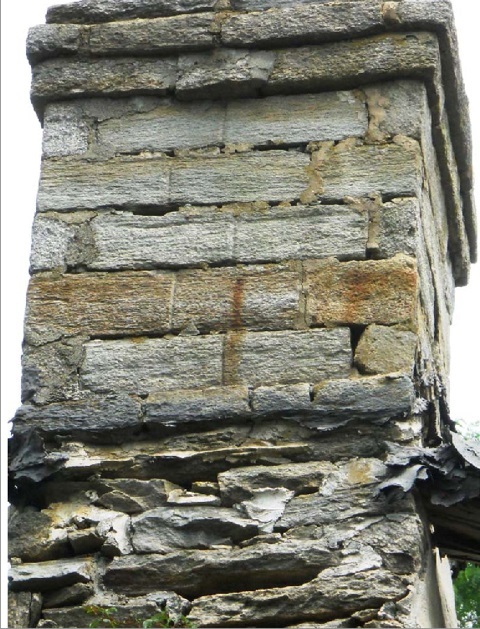 This 1700’s stone center chimney stack supports four cut stone fireboxes, at two elevations. The big kitchen fireplace has a chestnut lintel and a stone bake oven. This coursed stone chimney is for sale by William Gould, as is, to anybody who will dismantle and remove it. Detail of dressed stone fireplace and hearth, ready for dismantling. Coursed and dressed stone at chimney crown. 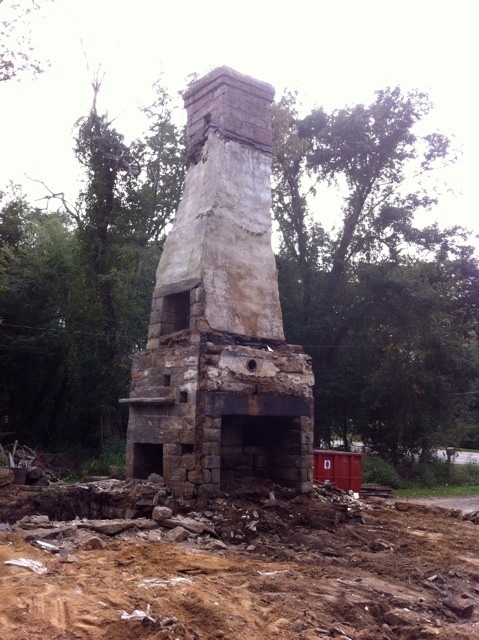 Elevation of complete chimney, at original site, 3 of 4 fireplaces visible. Note inset stone mantle and massive chestnut lintel. 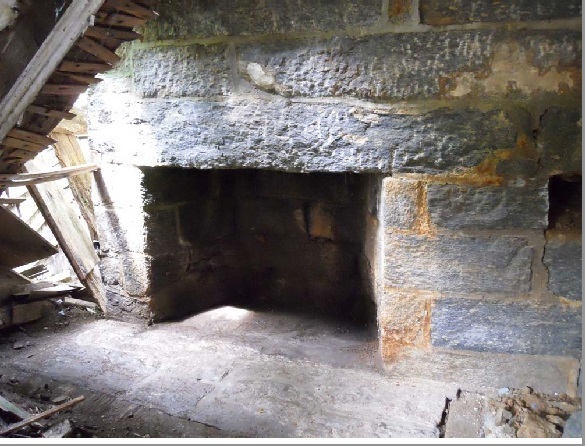 This entry was posted in Masonry Restoration, Stonework and tagged Connecticut, Fireplaces, Massachusetts. Bookmark the permalink.